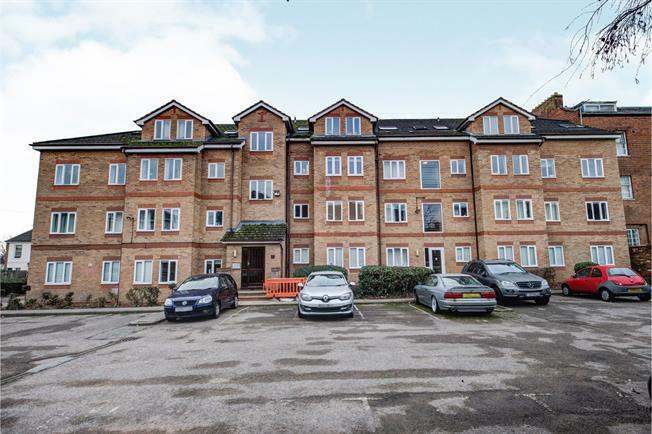 1 Bedroom Flat For Sale in Leamington Spa for Offers in excess of £145,000. Situated within close walking distance to the train station, Leamington town centre, shops and local amenities is this modern second floor, one bedroom apartment, benefiting from having an allocated car parking space. The property would make an ideal investment purchase or first time buy, with the added bonus of being sold with no forward chain. The accommodation comprises, a communal entrance, entrance Hallway, Living dining room, modern fitted kitchen, a double bedroom and bathroom. Outside there is an allocated parking space. Secure front door with stairs rising to the upper levels. With doors leading to the living dining room, bedroom, bathroom and storage cupboard. Fitted with a range of eye and base level units, offering worktop space, incorporating a sink with mixer tap and drainer. Integrated Four ring electric hob with overhead extractor and oven. Space and plumbing for washing machine and fridge freezer. Splash back tiling and window to side. With double windows to front, door leading to kitchen and wall mounted electric heater. With window to front, storage cupboard and wall mounted electric heater. Fitted with a three piece white bathroom suite, comprising a panelled bath, low level wc and pedestal wash hand basin. Tiled walls. Allocated car parking space located to the rear of the building.